How do you plan to observe the Fourth of July? 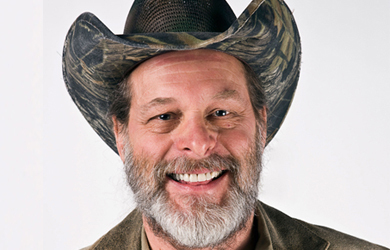 Will you be thanking Ted Nugent for keeping freedom alive? No? Well, you should, says Ted Nugent, since apparently his “‘we the people’ hell-raising duties” are stopping America from plummeting into a downward spiral of socialism. Nugent writes today that while he “celebrates Independence Day every damn day” by “celebrating my rugged individual independence,” the Obama-voting “sheep” are commemorating “Dependence Day” and worshiping the government. Stand back, America! The president has a pen and a phone, and he sure as hell is going to use them. I believe him, and you should too, regardless of what the Supreme Court of the United States keeps on telling him. The man has a vision, and quite honestly, it stinks to high heaven. It is rather obvious that he’s not going to let a little interference by those other two pesky branches of our government mess with his fundamental transformation, i.e., the end of America as we know her. In spite of this government gone haywire, Camp Nuge plows on with the original, proven concept of being the best that you can be, as productive as possible, and my entire family and team celebrates Independence Day every damn day. There may be a few more fireworks on the Fourth of July, and of course my killer band and I unleash a torrent of freedom soundtrack R&B&R&R, but our celebration is gung-ho every day as we get up and get going to maximize our American Dream and indefatigable pursuit of happiness. I believe that any able-bodied human being that doesn’t is an embarrassment to the species. Americans actually have a serious, official Declaration of Independence, and I declare mine every day. Immeasurable blood and riches have been invested and sacrificed in the name of American independence, but as we become more spoiled and self-serving, with busy little bees implementing the Cloward and Piven dismantling of our economy and spirit, all that historical stuff must be getting boring and unhip to the recipients of the redistribution booty. So I “we the people” on with all I’ve got. I hit the road today for my 50th rock ‘n’ roll tour, about to perform my 6,500th rockout with professionals of the highest order surrounding me, and working-hard, playing-hard Americans celebrating this uniquely American soulmusic soundtrack. I suppose it is no coincidence that my new record and tour are titled SHUTUP&JAM!, for my “we the people” hell-raising duties are so full-time and exasperating in the face of this crazy government and the sheep that follow them that more often than ever in my life I need to indeed shutup and jam just to cleanse my soul and escape this heartbreaking fundamental transformation insanity, thereby celebrating my rugged individual independence with like-minded independent Americans. Damage control is always much more difficult and costly than intelligent, accountable quality control, and America is now scrambling to halt the Obama-led destructo derby. To my fellow Americans in the asset column, Happy Independence Day every day to you all. To the sheep on the other side of the line drawn in the sand, Happy Dependence Day, and good luck with that, because after our little Fourth of July partying, we are again rolling up our sleeves and fighting like never before to take back this country from the bloodsuckers and scammers, where hard work, pride, excellence, productivity and real patriotism once again rule the day.